This is a full service 4 Speed Toploader shop. We do not do this part time or as a hobby or sideline. We are here full time to answer questions for you or provide anything you need for your Toploader. We have used years of experience in analyzing wear patterns and part failure in original Toploaders to improve quality and reliability of the replacement parts. 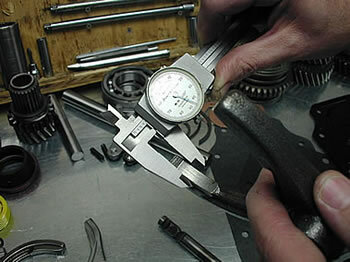 We use all the special Ford tools required during the remanufacturing process. 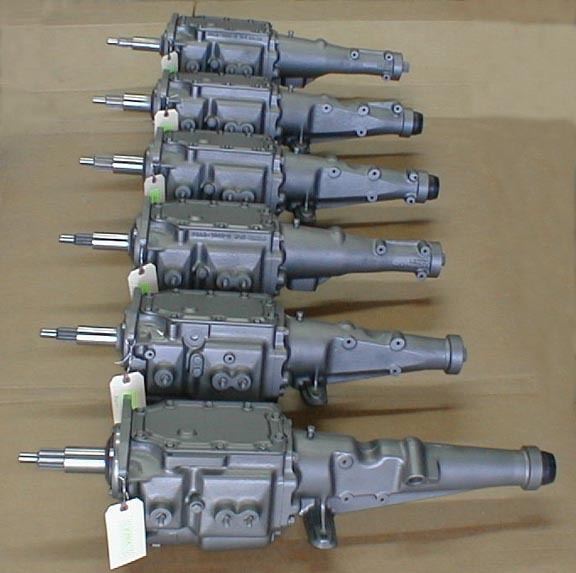 Since we only remanufacture Ford 4 Speed Toploader Transmissions, you can be confident in the caliber of our service and product. After years of remanufacturing 4 speed Toploaders, we have found that acceptable used 2nd, 3rd and 4th gears are few and far between. Typically, if the gear needs to be replaced, the associated synchronizer assembly also needs to be replaced. We can remanufacture your Toploader for $350 labor plus parts. The following is a list of items with prices depending on application that may need to be replaced during the remanufacturing process. *All needle bearings, snap rings, thrust washers, spacers, speedometer ball, countershaft and dowel pins, case plug, shift lever 0-rings, front and rear seals, all gaskets, magnetic drain plug, bronze OEM blocker rings, front and rear SKF main bearings, tailshaft bushing, air vent in tailhousing, exact reproduction DKT top cover. 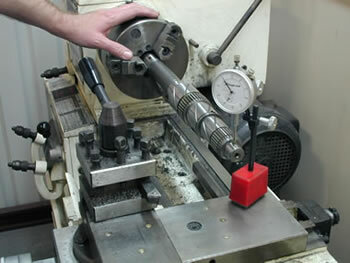 Shift rails, cam and shafts and mainshaft are all polished and checked for accuracy on our lathe. Labor charge includes machining maincase for a new magnetic drain plug if your case does not have one and adding the air vent in the tailhousing.